Approximate elevation: Trailhead-6,000ft., Top of summit- 10,094 ft. Located just north of the town of Upland is Mt. 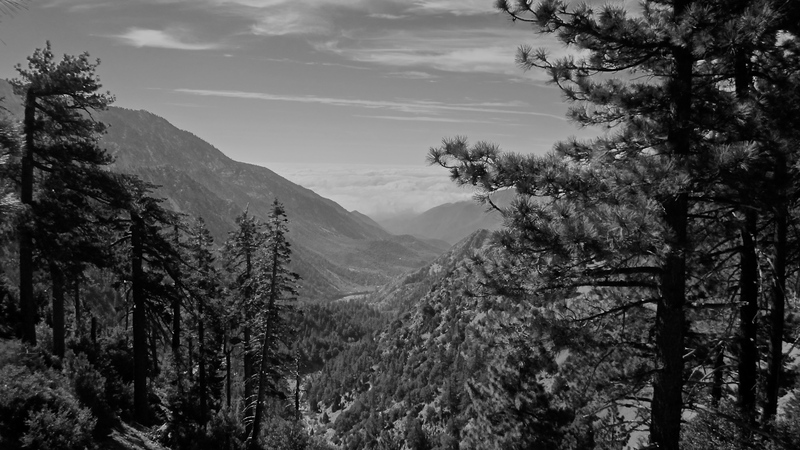 Baldy, one of several 10,000 ft. plus peaks in southern California. 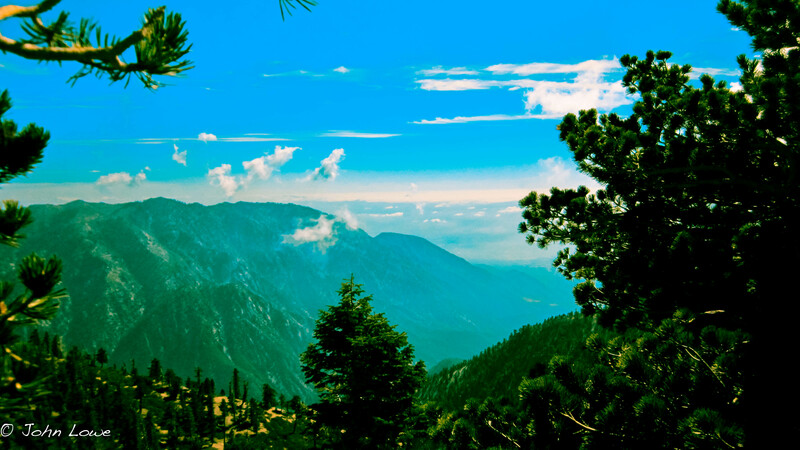 Part of the Angeles Forest and San Gabriel Mountains, the views all around this area are nothing short of phenomenal. I actually took a day off work to hike up here with my favorite hiking partner (my wife). 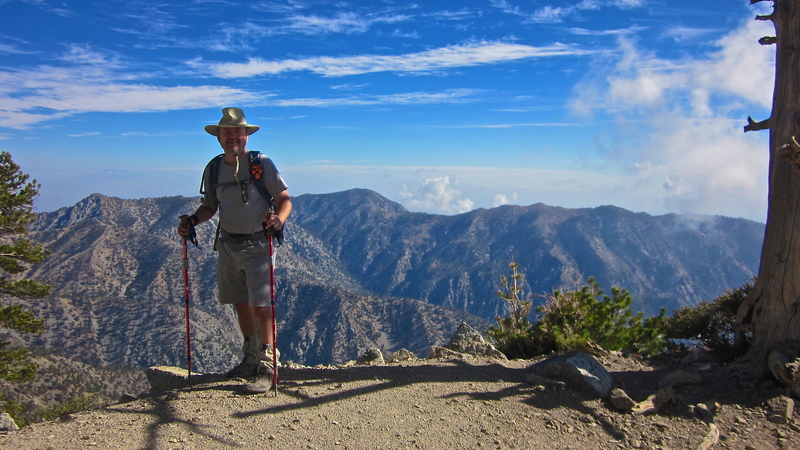 Fall and early winter are good times to hike in the San Gabriel and San Bernardino Mountains, especially before there is significant snow. Milder temps, no thunderstorms and gentle cool breezes are the norm. Of course, the weather can turn sour anytime up here, some come prepared. We started at the Baldy Bowl Trailhead near Manker Flats Campground and quickly discovered that hiking in the middle of the week up here is so much better than the weekends. 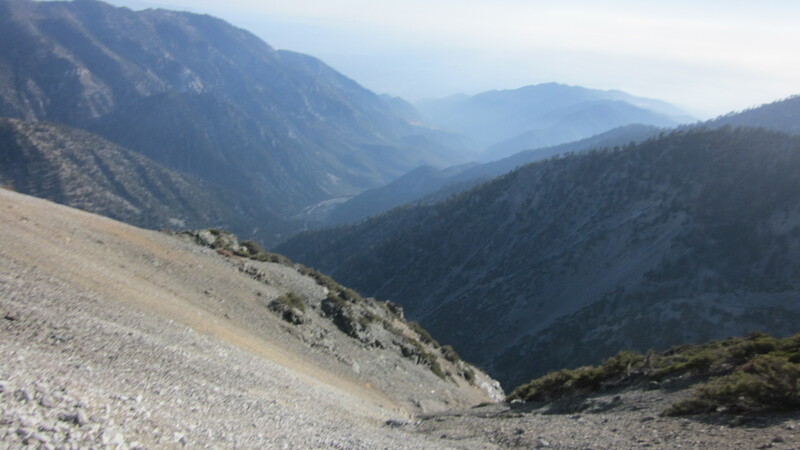 This trail is probably one of the most popular in the San Gabriel chain. The trail starts out as a paved road with a decent incline and makes a sharp right where you have a view of San Antonio Falls. This time of the year the water volume is near its’ lowest, but still streaming down. The road changes to a dirt/gravel fire road and proceeds up Manker Canyon. The trail sneaks up on your left with a small trail marker. About 50 ft. up the path is a metal box with a trail journal – nice. 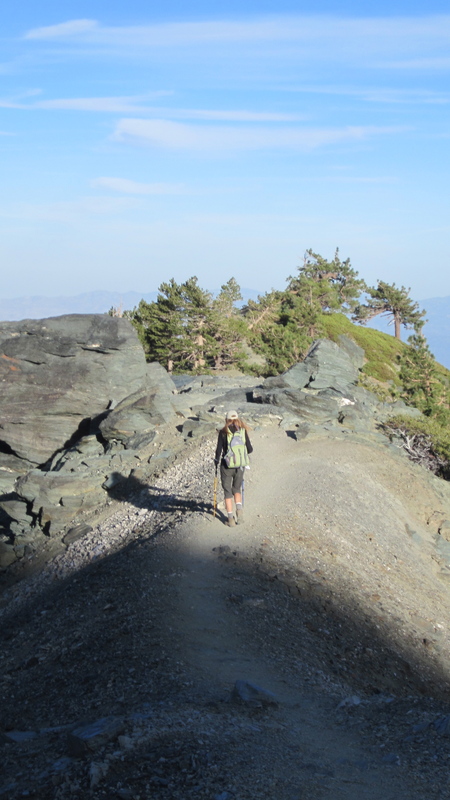 The trail wastes no time ascending the 4,000 ft. you will need to gain to reach the summit. 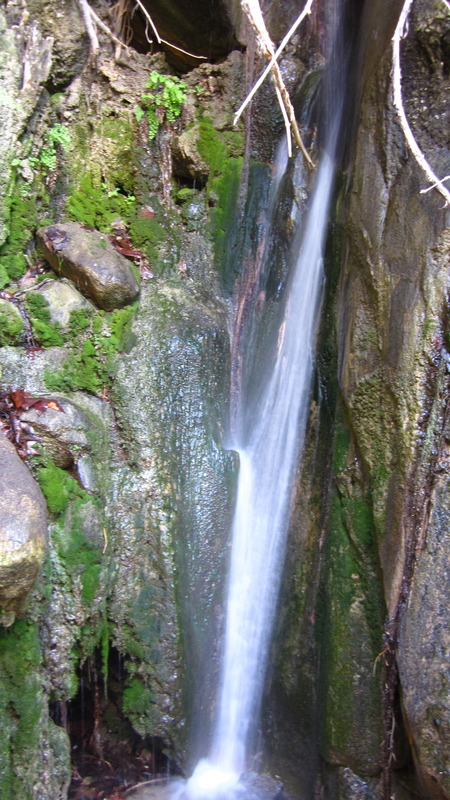 It is a well established and maintained trail that is mostly single track. 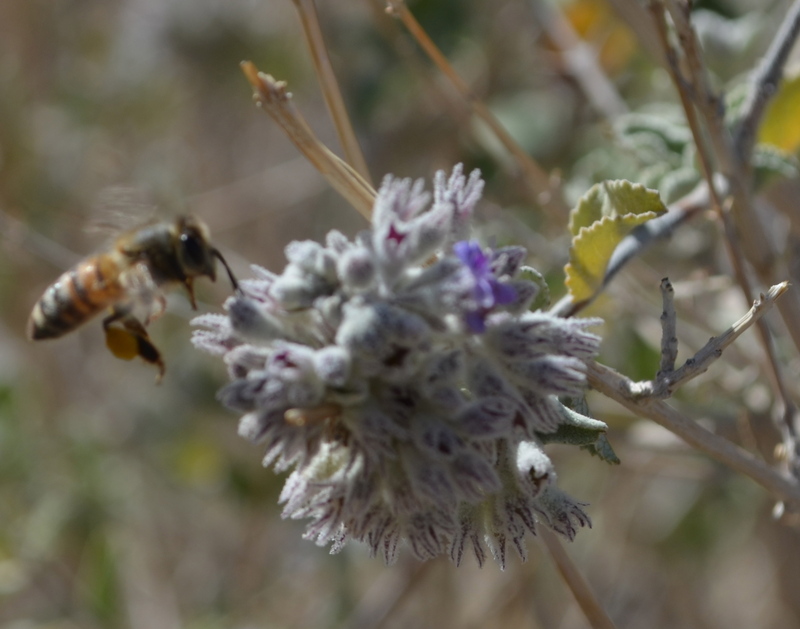 The flora is an interesting mix of chaparral and pines at the lower levels. Huffing our way up 2,200 ft with a few rest breaks, we noticed the Ski Hut. 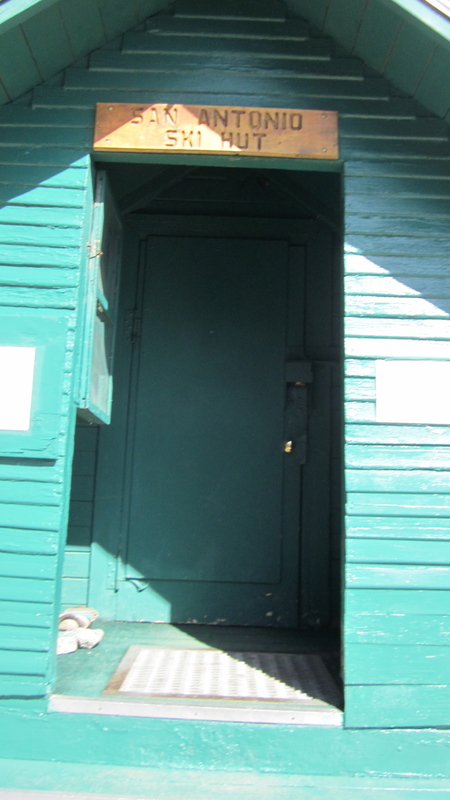 There is also a privy nearby in case you prefer to not do what the bears do. We had the area all to ourselves and had lunch on a picnic table complete with stools made of cut logs. We returned to the trail, crossed the spring that supplies most of the flow for the falls and transitioned into an area with plenty of talus from a major slide. This area is directly under Baldy Bowl and marked with cairns left by previous hikers. After some minor bouldering, the terrain changes again with switchbacks in a sub-alpine setting. The trail begins to get steep between 8,400 and 9,000 ft is a mix of talus and sand. It is a calf and quad burning extravaganza. Hiking poles make the climb much easier as you dig them in and push your way up. Chipmunks and ground squirrels were busy gathering food for winter as the woodpeckers were chattering overhead. We broke out into the open as our heading turned north. The craggy outcroppings at the top of Baldy Bowl loomed ahead. I ventured off the path and was rewarded with an awe-inspiring view to the south. 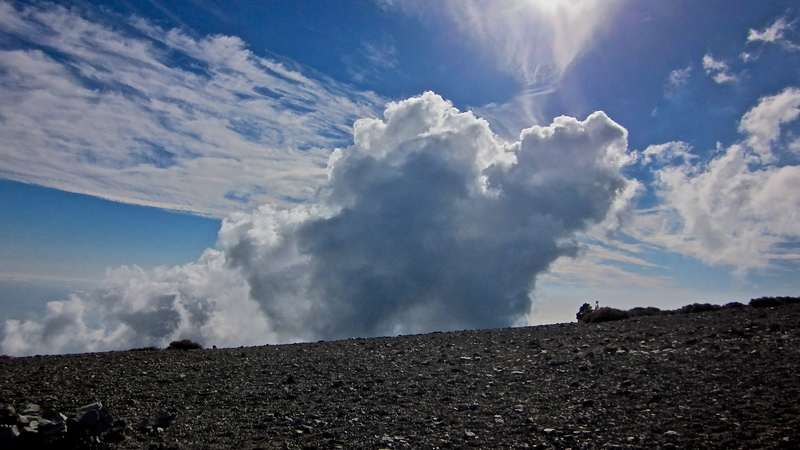 As we neared the summit, the trees thinned out and the sky seemed even more blue. The top of the mountain seems like the moon, barren and rocky. The panoramic views are stunning. 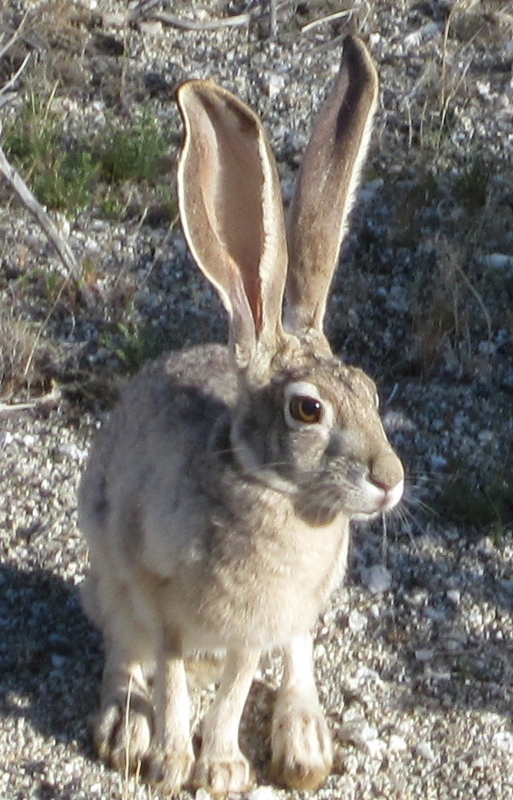 San Gorgonio and San Jacinto to the east/ southeast, the Mojave Desert to the north and Angeles Forest to the west. There are circular rock walls built to protect against the common stiff winds up here. We ran into the only other hiker, a 74-year-old Korean immigrant who was very friendly and quite chatty. Seeking solitude we decided to head down Devil’s Backbone, a ridge on the eastern side of the peak. 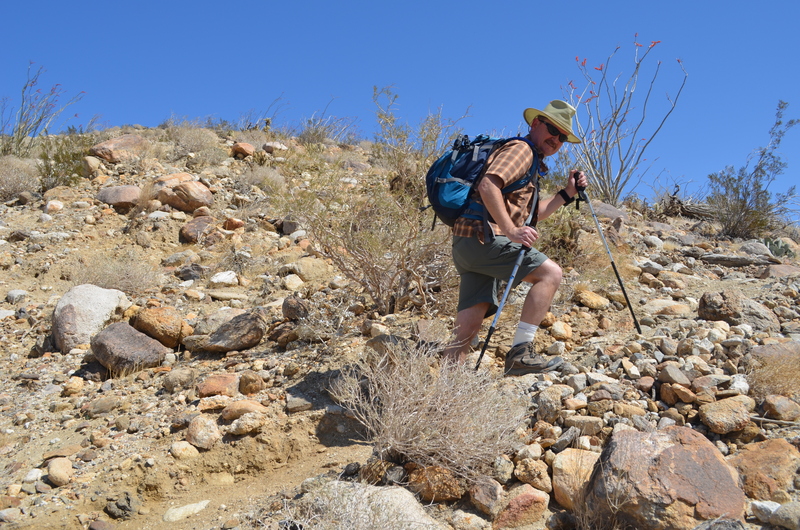 The angled switchbacks within a large talus field are a bit precarious and require focus. We quickly descended 700 ft. and followed the single track which at times would drop off on both sides. 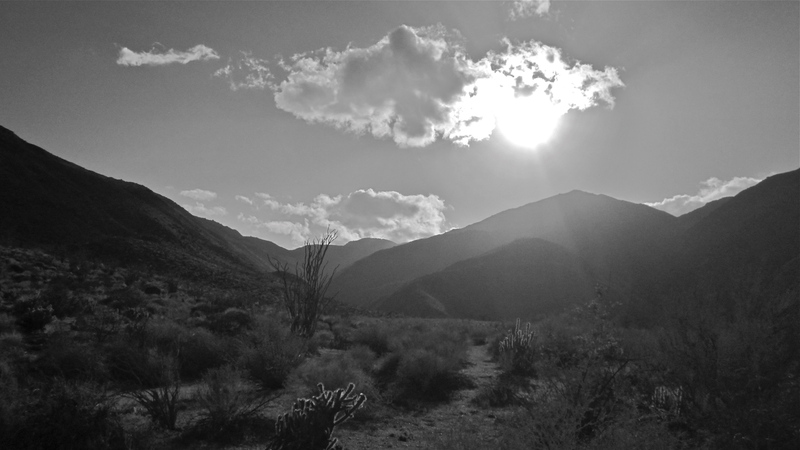 For two miles, the trail is an interesting and challenging trek with views of the high desert to the left and Manker Canyon to the right. Nearing Mt. Baldy Notch, there is a small ski lift that runs during the winter. Today, it was idle and reminded me of a carnival ride. Making our way down a wide service path, we broke out at the ski resort. The access and fire road is between the ski school and rental building. It is a 2.7 mile road carved out of the mountain. The sun was fading quickly and we picked up the pace to make it back to the car by dark. We broke out the headlamps just in case darkness snuck up on us. We passed the Baldy Bowl trailhead and completed the loop. Reaching the blacktop, the crickets began their serenade. Man, that was a great 11.2 mile hike.